specialist trade skills or equipment. Onduline corrugated roofing sheets is one of the most lightweight roofing material. 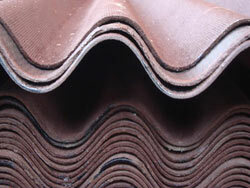 It is manufactured from a mono-layer of organic fibres impregnated with bitumen under intense pressure and heat. The colour pigmentation system “stains” the colour into the sheet with a UV resistant resin. 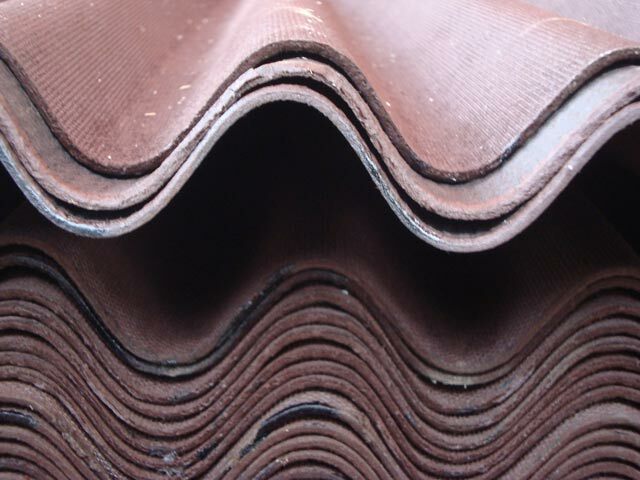 The roofing sheet is flexible and durable with excellent weathering and colour retention properties. 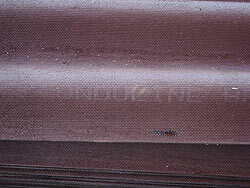 Onduline corrugated roofing sheet specification: Onduline sheet size: 2 x 0.95m Onduline sheet weight: 6.4kg Onduline corrugation size: 95 x 38mm Onduline sheet thickness: 3mm Colours: Black, Green, Red, Brown. 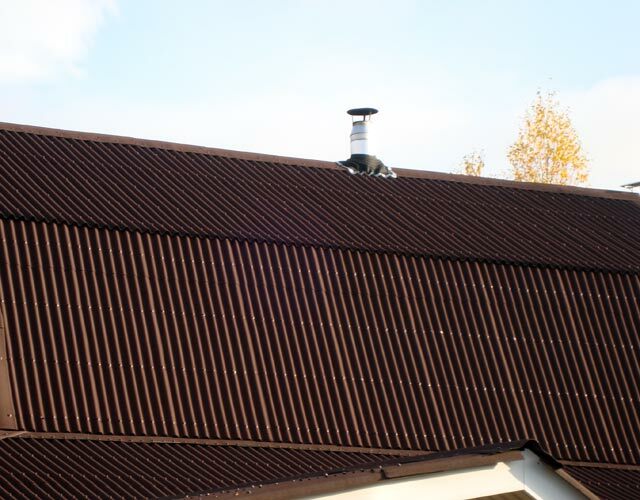 Onduline corrugated roof sheet got guaranteed waterproof for the first 15 years. Onduline withstands windspeeds up to 120mph (192kph). 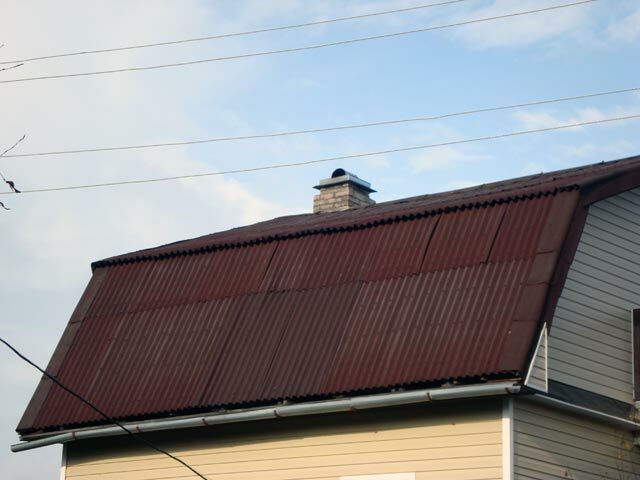 Onduline roofing sheets are rot and fungiresistant . The great question is the onduline corrugated roof sheet fire resistant? 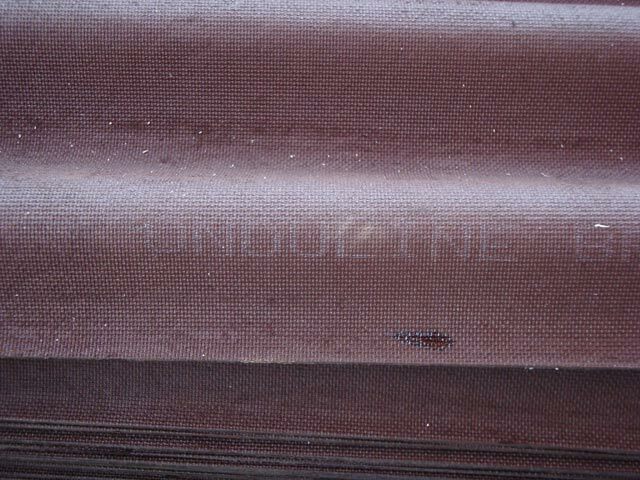 The company says about antipirens inside the onduline sheet. Do it work? We decided to test the onduline fire resistance. Watch our video below. Sorry folks, it is in Russian, but you will see everything with your own eyes: the only way to put onduline on fire is to flame it's cut. 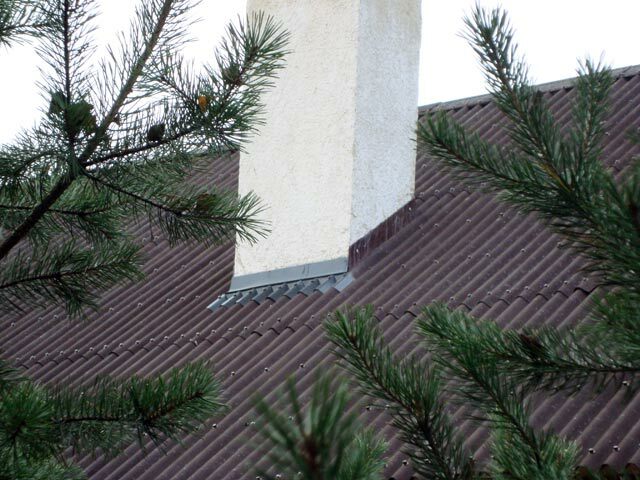 That part of the roof sheet is not fire resistant. But looks like it can stand against the fireworks from the corrugated part. 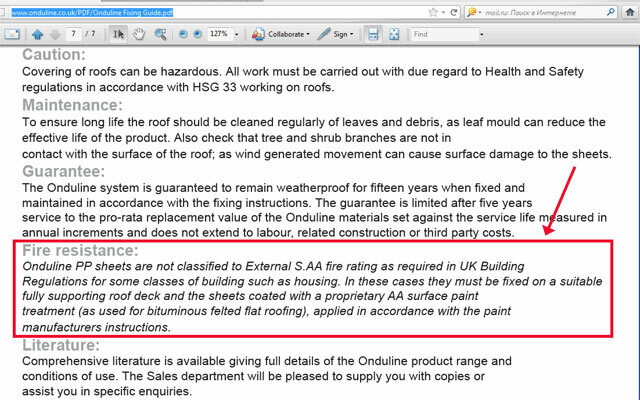 But In Grait Britain it is not allowed for housing - only after fire resistant paint treatment. 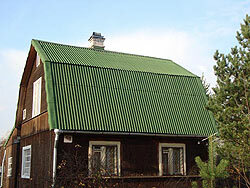 Original corrugated Onduline roof sheet is mono-layer of organic fibres impregnated with bitumen and color pigment. 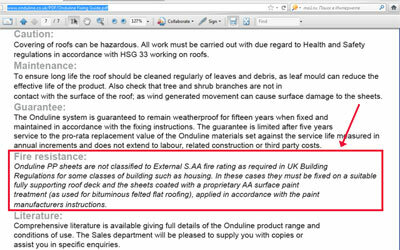 The original Onduline roof sheet got the Onduline trade mark imprint on each sheet. Onduline corrugated roof sheets comes with original nails and plastic nail washers with caps. 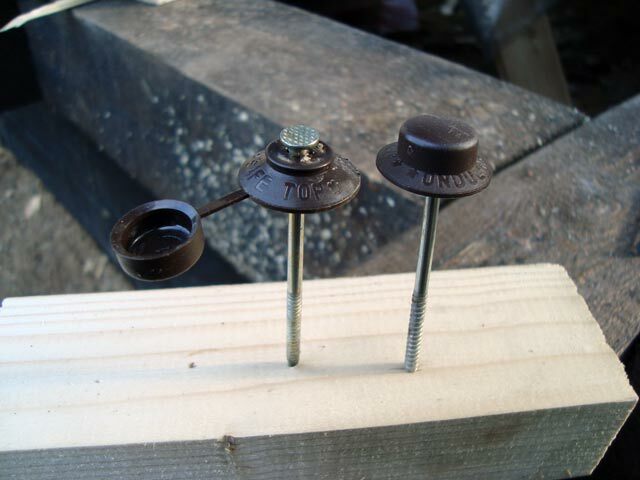 Only use Onduline PP or Safetop nails on timber. 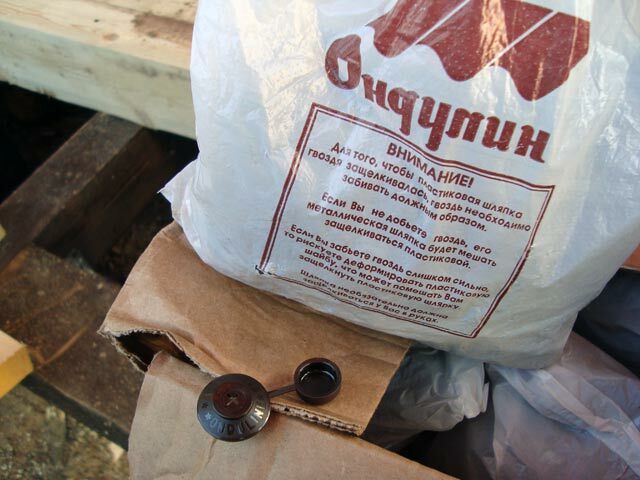 Use a string line to keep fixings in line. 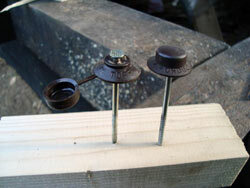 Original Onduline roofing nails with plastic caps. Be sure to lock the cap well: it has intention to opened from tim to time. 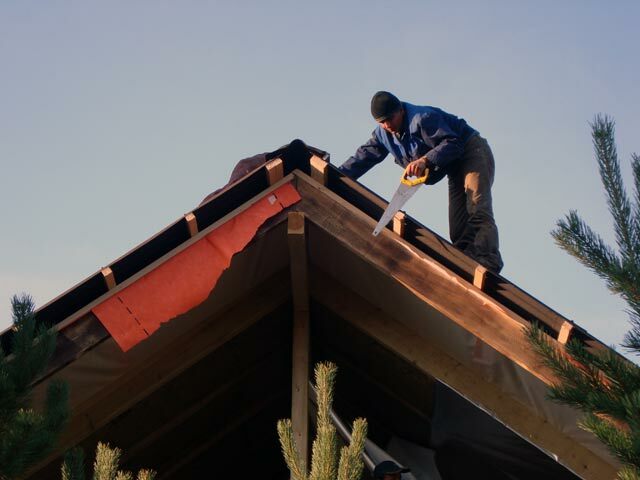 Start fixing sheets at the opposite end of the roof from the prevailing winds. Cut a sheet in half vertically and use to lay sheet courses in a broken bond pattern. 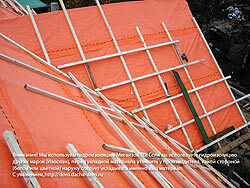 The maximum sheet overhang at the eaves is 7cm. 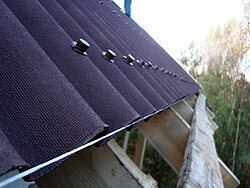 Nail sheets every corrugation at the eaves and sheet overlaps and either side of vertical joints. 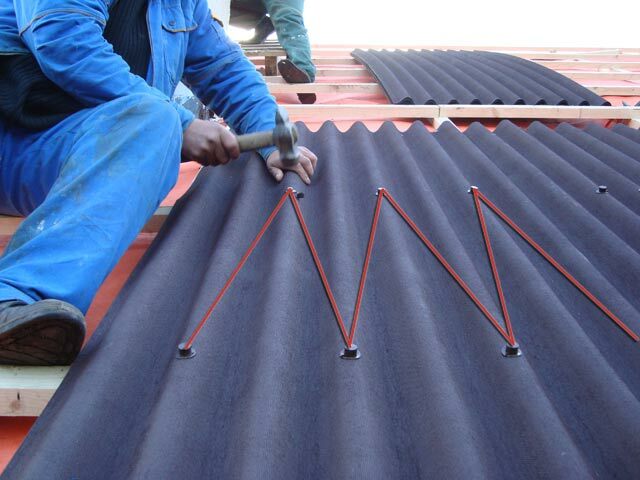 Nail every other corrugation on intermediate purlins. Fasten timber barge board level with the top of finished Onduline roof. The Onduline verge units are then overlaid and nailed into position. Alternatively, fix barge board level with the underside of the Onduline corrugation and overhang corrugation. Fold down and nail in position. 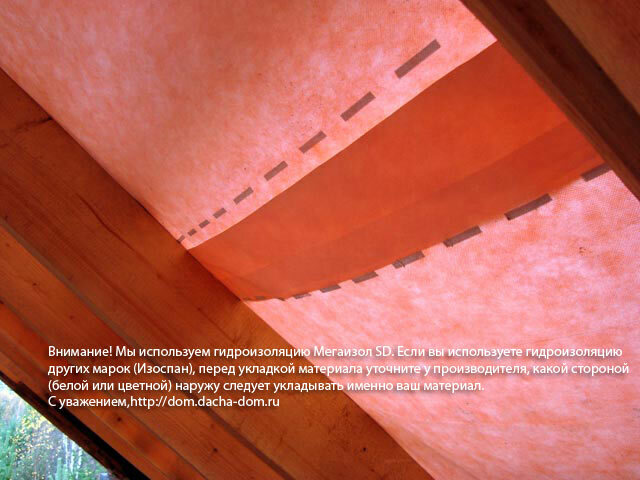 Use Onduline pre-formed apron flashing to seal end wall abutments. Use separate cover flashing to the wall to allow for movement. Fix valley boards/trimming purlins and line with either Onduline, metal, or GRP performed liner units. The vertical valley depth should be 7.5cm. 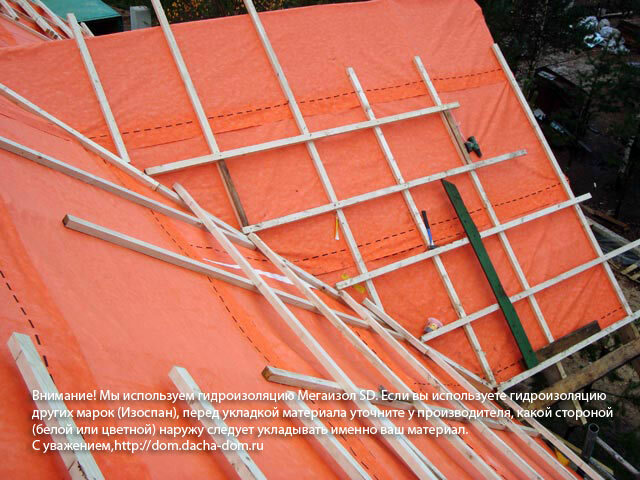 Wrong Onduline corrugated sheets installation: the seets were not cut in half vertically with a new row to lay sheet courses in a broken bond pattern. 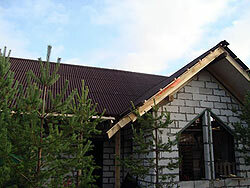 Time and sun can couse color changes with Onduline roofing sheets. The green Onduline roofing sheets are the most color durable (and expensive).